Bioanalytical laboratories continue to drive to higher efficacy drugs and long acting formulations which require lower quantification limits. There is also the desire to take advantage of the replacement, refinement and reduction policy which is resulting in reduced animal model use. The growth of biopharmaceuticals also brings into consideration additional analytical issues such as solvation and non-specific binding. 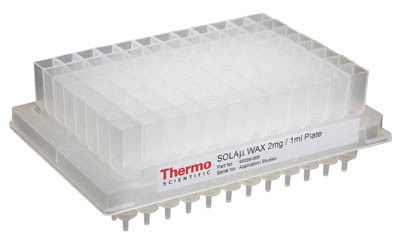 SOLAµ is the first micro-elution product to meet the requirements of the bioanalyst in combination with a robust, easy to use format.